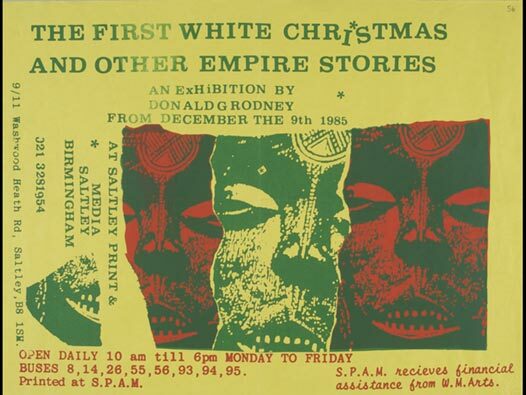 Title: The First White Christmas and Other Empire Stories. First solo exhibition by Donald G Rodney. Exhibition held at Saltley Print and Media (S.P.A.M.) opened on 9/12/85. Closing date of the exhibition is not stated.